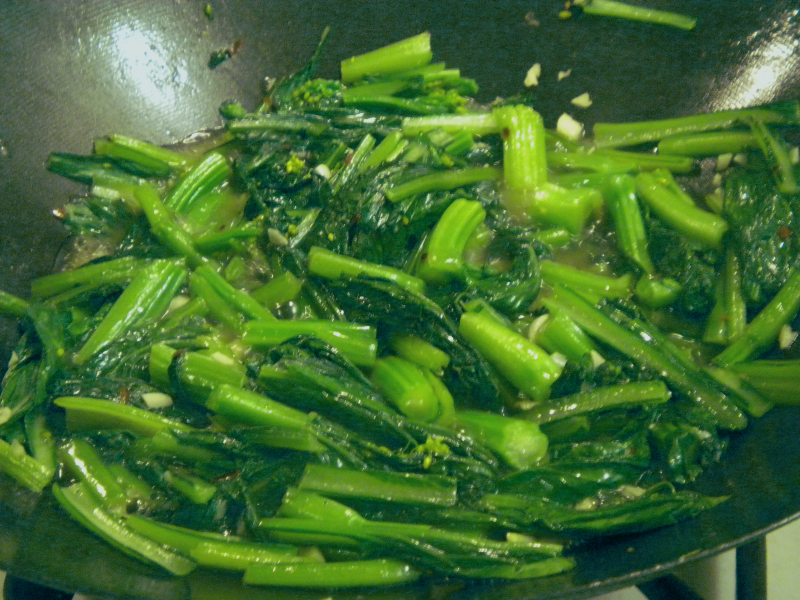 This recipe uses Chinese greens—but don’t worry, you don’t need to use these greens. This recipe will work with other greens like spinach or Swiss chard or something. If you use something like Swiss chard or kale though, just make sure you cut out the ribs. 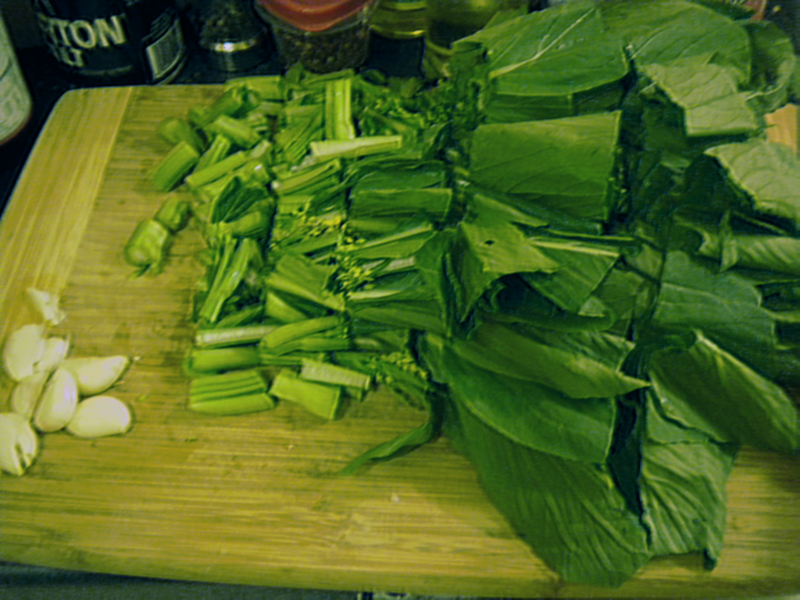 The ribs of choy sum get soft and sweet with cooking, just cut them into smaller pieces so that they cook more quickly. 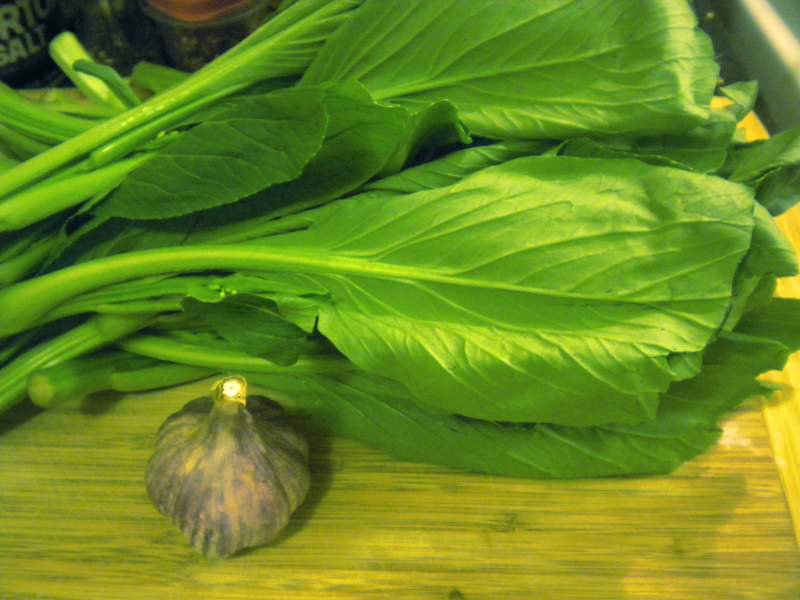 The science behind why I cooked the greens this way can be found in my previous post. Reading the garlic post will also tell you that you can slice the garlic bigger or smaller if you want it less or more garlicky, or you can stir-fry it before the greens for it to be less garlicky. When preparing a stir fry, you should have all the ingredients prepared ahead of time—stir fries cook very quickly, and if you have to stop to prepare ingredients, something could over-cook. Set a large pot of water to boil. While it heats, prepare the sauce. To make the sauce, combine all the ingredients listed under sauce. Mix thoroughly to make sure that the cornstarch is well-incorporated. 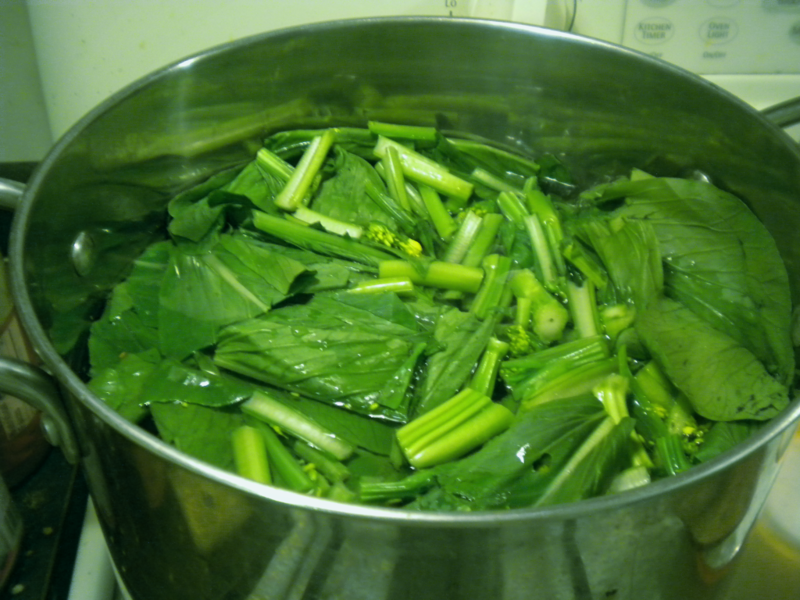 When the water comes to a boil, add the greens for about a minute, until they’re bright green. Drain. 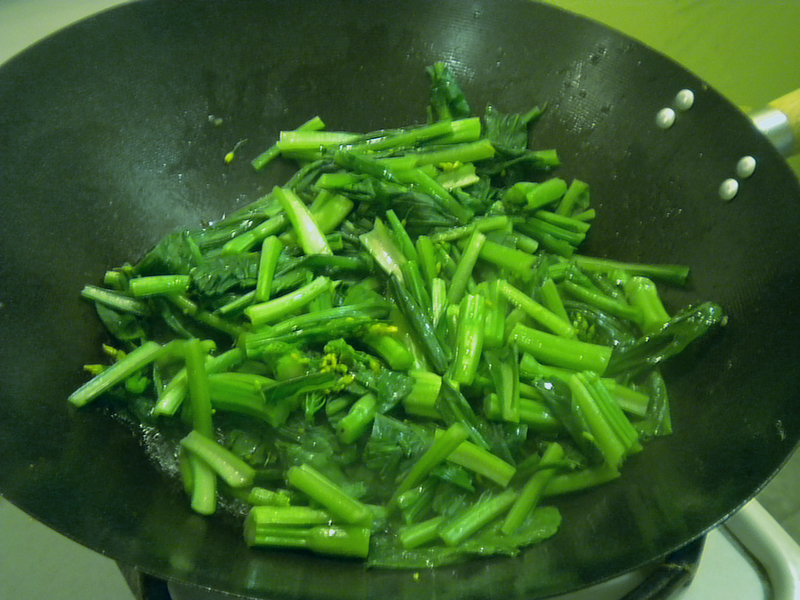 Add the greens to a wok that has been heated to high. Stir fry for a couple minutes, and then push the greens to the sides of the wok and add the sauce, giving it a final stir to re-incorporate the cornstarch. 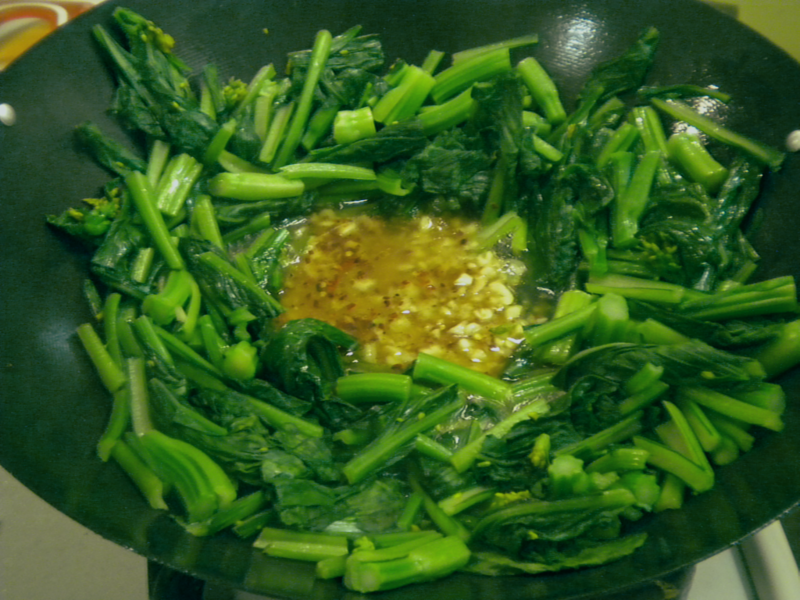 After the sauce starts to bubble and forms a smooth sauce, stir the greens into it. Serve as a side dish or with rice.